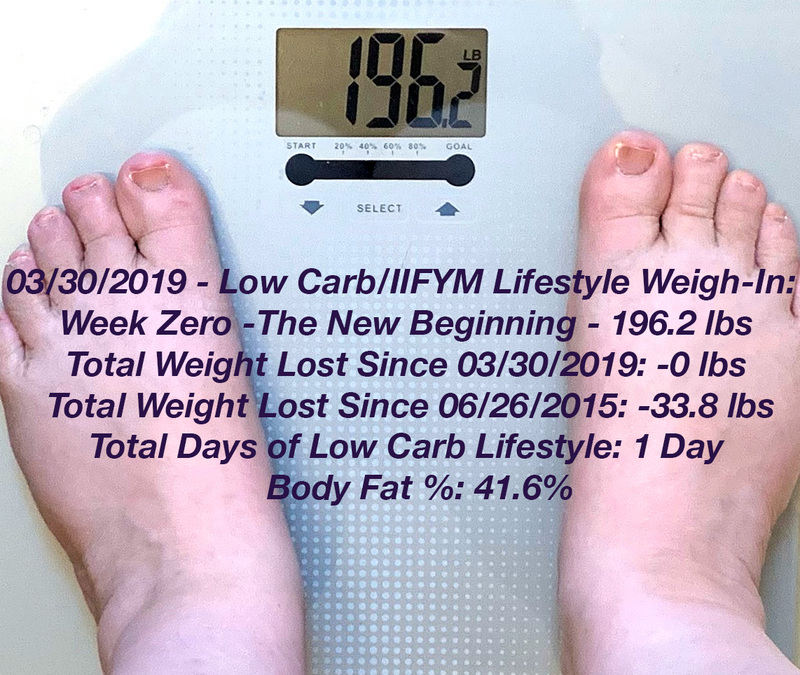 It took me several extra days to get back on track than I had planned but today is Day 1 of my new low carb and IIFYM lifestyle and I feel absolutely ready to do this! This is the highest I've weighed in about two years and I really don't want to see the scale climbing any higher plus I want to feel comfortable in my body again and I definitely don't right now. At this point there are no "cheat days" or "cheat foods." Everything is allowed in moderation but the majority of my diet will be healthy low carb with a lot of protein coming from actual food and most carbs coming from veggies and I still plan on avoiding simple carbs and sugars about 80% of the time just because of how they make me feel. I'm starting my 10,000 steps a day plan today as well as the low carb and I plan to start my Push/Pull/Legs/Abs A-G workout plan with Push Day A in the next few days. Here are my new starting number for this plan and I'll be weighing in on Thursdays, as I used to do, and taking measurements and body fat % once a month!